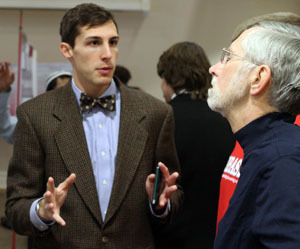 Wabash College’s annual Celebration of Student Research, Scholarship, and Creative Work featured more student participants Friday than any of the previous 12 years. 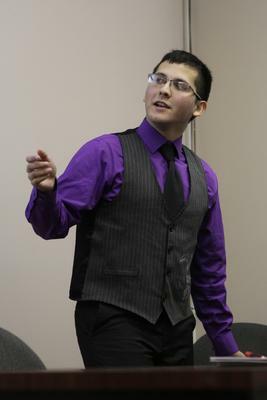 Students presented research posters and gave oral presentations from 1-4:30 Friday in Detchon Hall. The event’s faculty chairman Lon Porter said it gives all the campus a chance to peak in on other disciplines and admire student work. 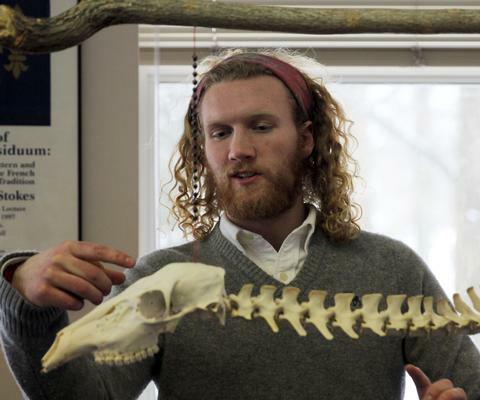 Sam Hatcher ’13 may have had one of the more unique presentations combining art, nature and personal experience. The Montgomery County native is an English major and art minor. 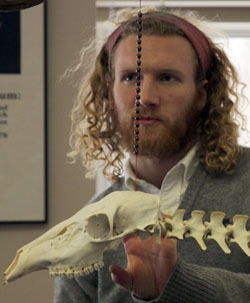 He brought his close connection to nature into his advanced studio art class. 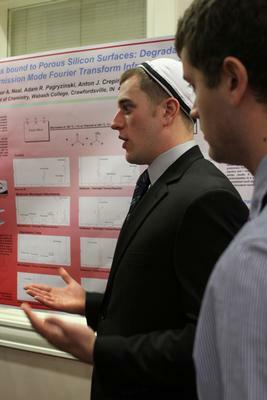 The poster presentations are as varied as the studies of Wabash’s 900 students ranging from the highly technical chemistry, biology, and psychological research to the rhetoric of President Kennedy and Interracial Dating in the New Millennium. 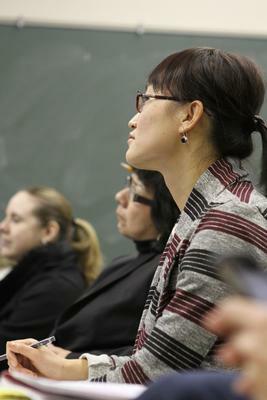 For the students, the experience is unique and enjoyable. “It’s definitely a test of how much you know and how well you know it,” said Jake Schild ‘13, who was presenting his research on Therapy’s Role in Medicare Reimbursement. “You have to explain it to people who don’t know anything about any of it. You want to be able to go through and pick out the most important points but not leave them confused over what you’re talking about. Oral presentations were, perhaps, even more varied. Presentations by Ryan Lutz ’13, reading from his novel to sophomore Stephen Batchelder’s talk on Hierarchical Games: Elite Romans, Gladiators, and Hierarchy. Or there was Bradley Hopper ‘14 discussing Bread and Juicy Gossip: The Social World of Ancient Bakeries. Each year three students are awarded a $150 prize recognizing the effective use of library resources in the development of their presentation. The program is made possible by C.K. and Robert Wedgeworth ’59. The three winners were: Jeffrey Bohorquez ‘13, Escobar, the Boss of Evil, International Ambassador of Columbia; Julian Jose Cernuda ‘13, The Logical Man in Borges’ World of Chance and Disorder; Bradley Wise ’14, Ecuador: Afro-Ecuadorian Culture Documentary.